One of the many things I love about London is the fact that fashion is so accessible. There are lots of independent stores, vintage boutiques and markets which I can always lose myself in. However, every now and then, I love to step foot onto the high street, and a particular favourite destination is Topshop's flagship store in Oxford Circus. 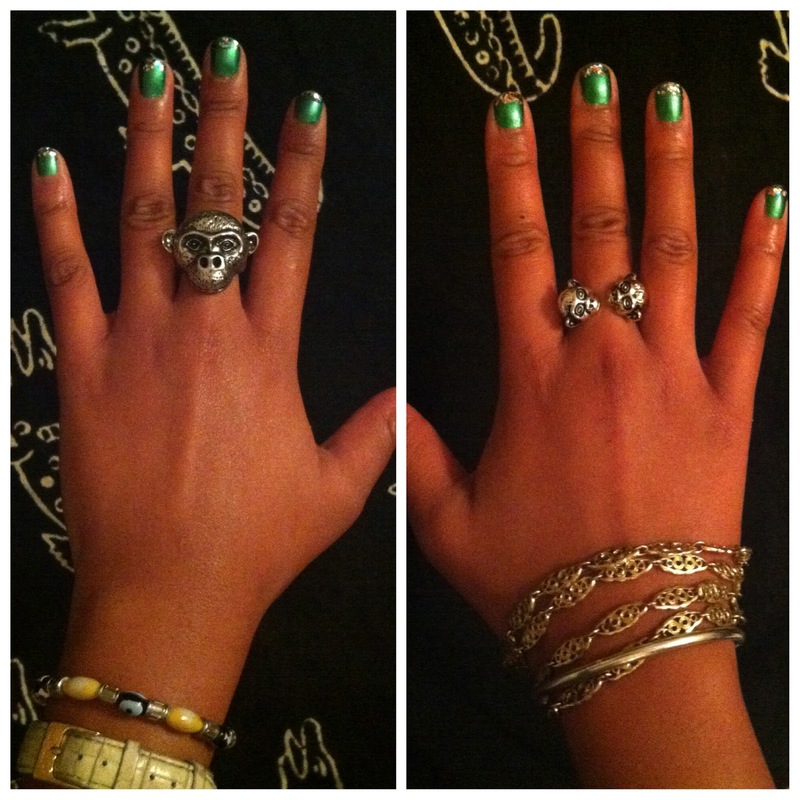 On a recent visit to Topshop, I spent some time browsing their new jewellery collection. 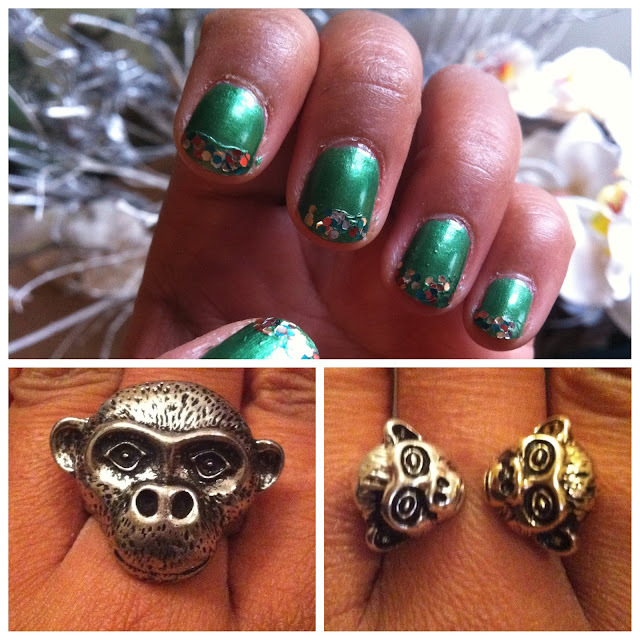 Nothing really caught my eye until I reached the bargain pods and came across these two little statement monkey rings. These were the last remaining and cost me a total bargain of £5.50!